When you are a parent, there is almost nothing more welcome than being gifted a nice big bag of second hand baby clothes, toys and equipment by friends and family. There are however, a couple of products parents are advised to buy brand new, one of these being your baby’s mattress. With so many to choose from, here are 5 tips on buying the right one for your baby: 1. It is advisable to purchase a new mattress with each child for hygiene reasons and to maximise comfort. 2. The ideal size for your baby’s mattress will depend on the bed, cot or Moses basket you are fitting it to. 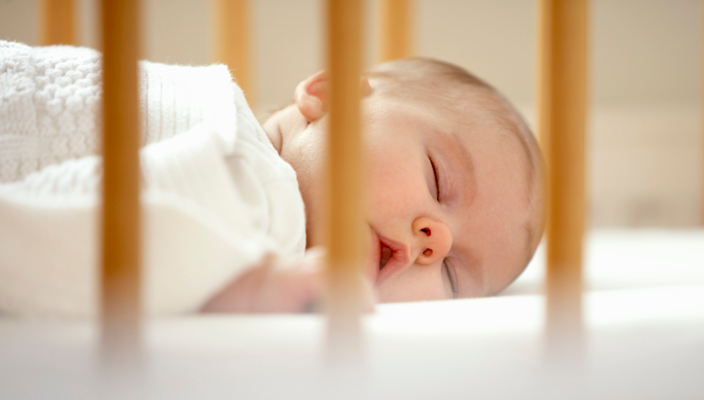 The gap between the mattress and the edge of the cot or basket should be 3cm or less. 3. Please note that mattresses with ventilation holes are not recommended for young babies as it is difficult to keep them clean. 4. Choose a flat, firm, waterproof mattress and always place your baby on the waterproof side. 5. Carry cots are perfectly fine for young babies to sleep in – again ensure the mattress of the carry cot is waterproof and that it fits properly.